This page is a Wiki page. To contribute you need (a) to register for the blog (left sidebar: Meta –> register), and (b) write me a short note (using the contact form) with your user name so that I can set your user status to WIKI editor. Guitar four- lead licks – right channel ? Richard Bennett [100%], strummed Telecaster ? Stratocaster ? I updated the line about acoustic guitar on Long Highway. a few weeks ago I found an interview with Mark in which he said that he used the 59′ ES 335 through a Fender Bassman on ‘Baloney Again’. In 2001, MK told for a Brazilian magazine ‘Cover Guitarra’ the guitars and amps used on the STP album. Baloney Again is really a ES-335 plugged on a Fender Bassman. And What It Is was recorded with the Schecter. BTW, remember that Mark’s quotes aren’t always accurate : in an itw he said that the Trawlerman song was played on the 54 strat, and we know it’obviously the LP, so sometimes, even the man himself can be wrong…so how can we be 100% sure ? I think that sometimes in studio, they try different sounds, different guitars, on differents takes. So myabe the final mix isn’t the one he remember some months later ? 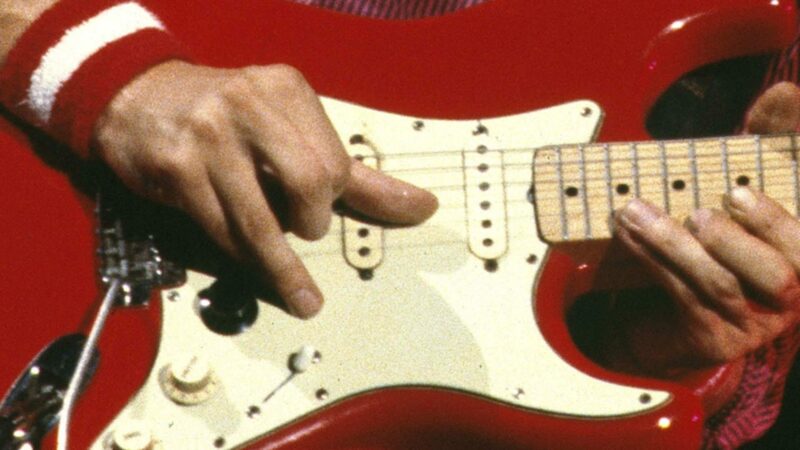 Maybe is there a Trawlerman take with the 54 strat, and so it’s the reason why he chose to play the song on this guitar on tour. who knows ? Just remember that ‘Sailing to Philadelphia album’ was recorded in two parts.